May 31, 2011  An initial report from the investigation into what brought down Air France flight 447 shows that the plane stalled before rapidly plunging more than 30,000 feet into the ocean. Now, some industry leaders are raising concerns about pilot training and the growing role of automation in the cockpit. May 31, 2011  The only thing more difficult than building a respected organization may be reinventing an institution that isn't performing to its potential. Even the best leaders often face an entrenched culture, the burden of an established reputation and resistance to change. May 31, 2011  Battered by the recession, many states have found they can no longer cover unemployment insurance funds. Some states are cutting the number of weeks a laid-off worker can expect to receive benefits. NPR's Senior Business Editor Marilyn Geewax and Rick Nivison, who is currently receiving unemployment benefits, talk about the cuts to the benefits. Nivison lives in Michigan, which recently cut the number of weeks someone can claim state unemployment insurance from 26 to 20 weeks. 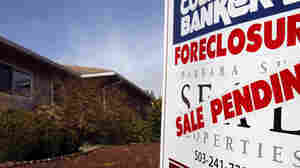 May 31, 2011  Prices for single-family homes have fallen to their lowest level since the housing bubble burst in 2006. The latest S&P/Case-Shiller index for March shows prices dropping in 18 out of 20 major metro areas. The nationwide index fell for the eighth straight month. 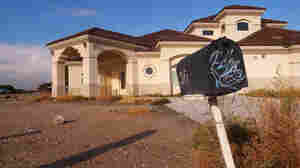 A glut of foreclosures is a major reason home values continue to deteriorate. May 31, 2011  American Airlines just took delivery of its first Boeing 737-800, with a new interior. 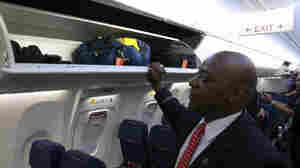 The plane's cabin comes with an option list that includes LED lighting, more headroom, larger storage bins and a futuristic feel. May 31, 2011  The sequel to the macho hit videogame Duke Nukem from the 1990s will hit stores June 14. Gamers have been waiting 14 years for Duke Nukem Forever. Some fans even pre-ordered the game back in 1997. May 31, 2011  Airlines around the world keep making more and more of their money from all those pesky fees. The Wall Street Journal reports on a study out Tuesday that says airline revenue from add-on fees jumped to nearly $22 billion dollars last year. That's up 38 percent from a year earlier. May 31, 2011  Robot battles can be violent, noisy and fun. High-tech companies hope these clashes also turn on students to careers in industries that need their skills. "Getting into this definitely got me interested in the engineering aspect of things," says high school senior Dakotah Cleaver of Bloomsburg, Pa.
May 31, 2011  For two years, the website Kickstarter.com has helped artists, musicians and filmmakers fund projects, encouraging a lot of people to make small donations. But recently, entrepreneurs have been launching new products on the site, something the company's founders never imagined.